I wondered why the editor thought they were fixing a b0rked bracket when clearly the link has rendered fine, brackets and all - and I verified by clicking on it that it goes to the right place. However as you can see from the screenshot, if I view the actual tag wiki itself, the trailing bracket is indeed b0rked. 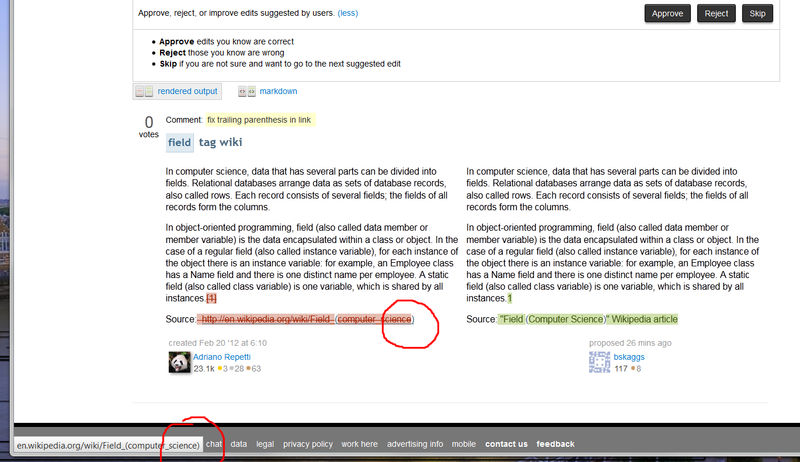 I think the rendering in the review view ought to be the same as in the tag wiki itself....! 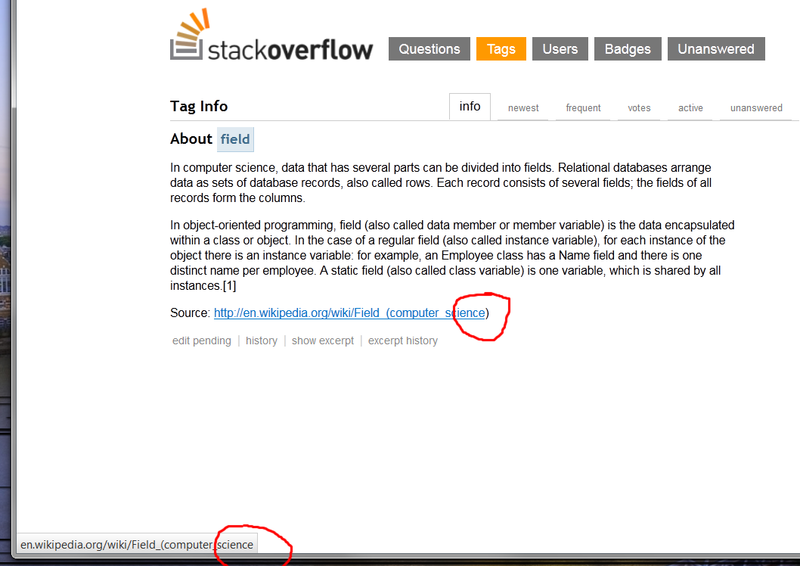 Browse other questions tagged bug review tag-wiki .